June 26: What's Jen Clicking on Between Newscasts? The living Michael Jackson pays tribute to the pop superstar whose name "he had first"
It must be kind of like seeing your own funeral service; watching people cry and put flowers and candles on your star on the Hollywood walk of fame. A surreal experience, to be sure, for talk radio's Michael Jackson, whose star was a gathering place yesterday for fans mourning the sudden death of the pop superstar with the same name. "A strange day, for me. My 'phones haven't stopped; mostly calls from family and friends, in several parts of the world, calling and writing to confirm that the news reports of Michael Jackson's death, were referring to the singing, dancing, mega-star," Michael Jackson writes on his website. "He appeared to his fans to have it all... He proved to have nothing at all. He was preparing to come back for his proposed world tour; a way to repay debts and reestablish his entertaining skills," Jackson writes; "He will be major news for several weeks. He once asked me where I got the name. I explained (unnecessarily), that I had it first." 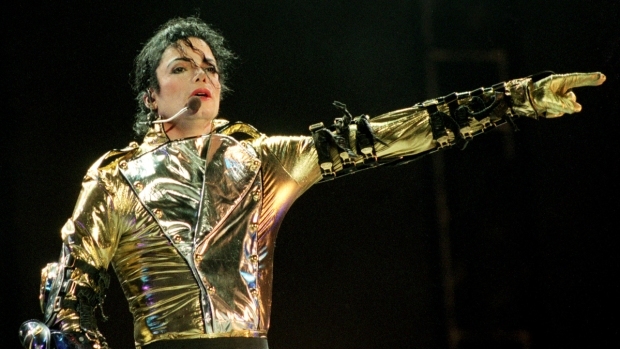 He also shared a nickname with the younger Jackson; he says he was called "Jacko" in boarding school. The Jackson Five have a star as well; it's just up Vine street from where radio personality Jackson's star is. That one was mainly overlooked. Michael Jackson, pop superstar's star, is in front of the Chinese Theater. It was covered by the red carpet yesterday for the premiere of Bruno, which is another story in itself. LAist put together a map of all three stars to clear things up. A few people yesterday commented "Farrah got ripped off" and I thought, maybe; but isn't it so much more gratifying to have the goodbyes she was able to have, and to watch the documentary she put together about her own struggle like she did, than to just drop dead unexpectedly like Michael Jackson? That documentary, Farrah's Story, premiered a few months ago on NBC and Farrah was said to have watched it with her best friends around her. That, also, seems like a glimpse into one's own memorial service. But, it's true; Farrah was the top story for about two and a half hours, and then Michael collapsed just a few miles away in his Bel Air home. And, as fans gathered at the hospital, and his home, they couldn't find his proper star because it was being prepared to be walked on by Sacha Baron Cohen for the premiere of Bruno. LaToya, Michael Jackson’s older sister, made an accidental cameo in “Bruno,” similar to one by Paula Abdul, where she was coaxed over to a home in Los Angeles for an interview with the fake Austrian fashion journalist. A source at Universal, the studio behind the film, told Access Hollywood that the scene in the movie with LaToya, which involves a Michael reference, was cut from tonight’s premiere out of respect for the family. The scene may also end up deleted when the movie heads out on general release in the United States beginning July 10, the source added. 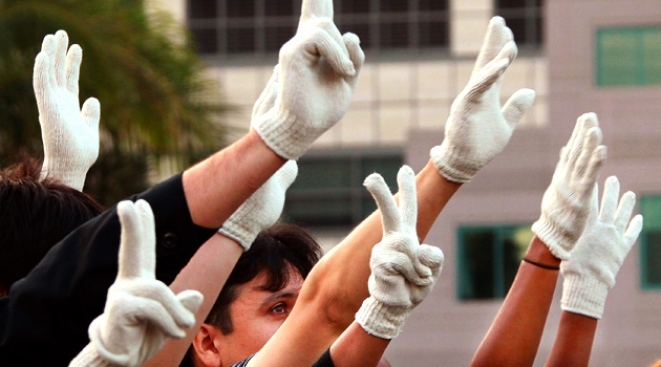 Meantime, the living Michael Jackson is fine with fans paying their respects at his star. "I [willingly] loan it to him," he writes, "and, if it would bring him back, he can have it. He was a real star."